72%of students in The Shadow Project persevere rather than giving up when encountering an obstacle, compared to just 38% prior to being involved in the program. 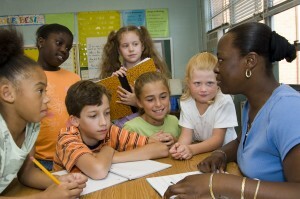 – 2011 Teacher Survey on Student Impact. Read more about student outcomes. Did you know many employers will match employee donations? Click Here for more details. "I'm getting better at reading. To get much better I'm going to read wherever I go." 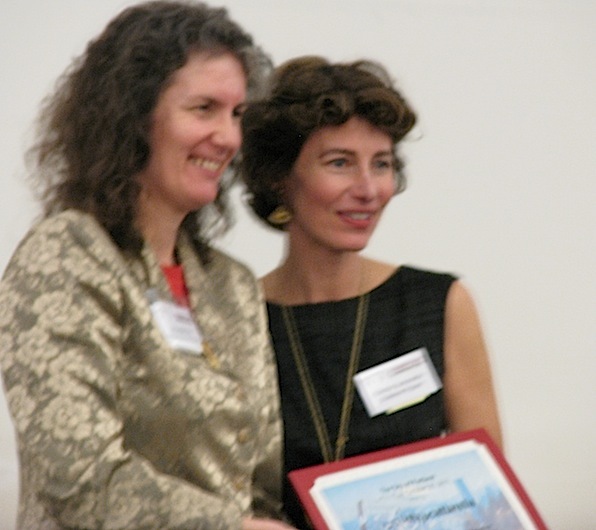 Shadow Project founder receives Portland's 2011 "Making a Difference" Award in Education. Commissioner Amanda Fritz presented the award to Christy Scattarella Oct. 20 at Connecting Communities, an event that attracted over 500 people to celebrate the strength and diversity of persons with disabilities. In accepting her award, Christy, who is also the organization's executive director, shared The Shadow Project vision "for all children with learning challenges to recognize themselves as courageous, capable and able to learn." The Making a Difference awards recognize individuals and organizations that go "above and beyond to make Portland more inclusive for people with disabilities". Willamette Week's Give!Guide Coming Soon. We’re proud to be selected as one of 100 Portland nonprofits that will benefit from this amazing community fundraiser that brought in more than $1 million for local charities last year. This is a great opportunity to help our kids while earning prizes for yourself! Donate starting November 9. Give $100 or more to The Shadow Project and the James F. and Marion L. Miller Foundation will match your donation dollar-for-dollar. Please help us get the word out on Facebook and Twitter. Interested in Sponsoring a School? We are inviting local businesses and organizations to make a profound difference for children in their own back yards — by sponsoring The Shadow Project in their community school. Just imagine the difference you can make in the lives of Shadow Project kids. Here is a list of the schools we serve. Contact us to learn how you can get involved. CREW selects Shadow Project for 2012. Commercial Real Estate Women of Portland has chosen The Shadow Project as the beneficiary of its charitable activities in 2012. CREW is a 115-member organization comprised of women in all factions of the industry. The Shadow Project is honored to be selected and we look forward to working with CREW.